for regular applicants, says research agency Icra. There is a yearly cap of 65,000 on new H1-B visa issuance, with an additional 20,000 visas for those for those with advanced degrees from a US institution. 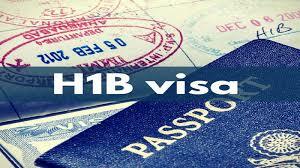 Currently, advanced-degree visas are chosen first prior to the H-1B cap. But in the new system under consideration, the USCIS (United States Citizenship and Immigration Services) may reverse this order: once a sufficient number of registrations or petitions have been selected for the H-1B cap, the US immigration agency would then select registrations or petitions towards the advanced degree exemption. Icra, in a recent note, said that the recent proposal of reversing the process for H1-B selection favouring advance-degree holders will have an adverse financial impact on the Indian IT services companies. 1) The new proposals, if implemented, will work against the Indian IT services sector (H-1B dependent employers) as their share of master’s degree or equivalent for H-1B visas approved was 27% compared to 55% for non-H-1B dependent employers, says Icra. An entity is defined as H-1B dependent if more than 15% of its employees are on an H-1B visa. 2) The new proposals will result in about 10% reduction in H1-B visa approvals for regular applicants (applicants without advance degrees – master’s or higher from US institutions), who form the major part of the H1-B visa requirements of Indian IT services companies (H-1B dependent employers), Icra added. 3) This could lead to higher onsite hiring, which is associated with higher wage bills and lower margins, says ICRA. 4) With the visa issuance norms being tightened by restricting access of entry-level programmers coupled with increasing compliance requirements adding to cost pressures, Icra says, Indian companies have started to ramp up onshore hiring. But increased onshore hiring associated with a higher wage bill along with factors such as pricing pressure on commoditised services and wage inflation will negatively impact their margins going forward, the research agency says. 5) But the margin pressure could be partially offset by factors such as ability to modify cost structure with variablisation of salaries and gradual reduction of high-cost resources, deployment of operating levers such as higher share of fixed price contracts, lesser idle resources and automation benefits, says Icra.